What is the one item we don’t like to put down? Usually our smartphones. This is true worlwide, even in Africa smartphones are changing lives at an astounding pace, bypassing the often insufficient infrastructure. But smartphones can only be small, bright, and have multicolour displays because three Japanese researchers found a way to produce efficient blue light-emitting diodes in the 1980s. This not only enabled the development of energy-saving white light sources like LEDs – bright white light is a combination of red, green and blue lights – it also revolutionised the fabrication of televisions, monitors and smartphones. When the Nobel Prize in Physics was announced on 7 October 2014, Hiroshi Amano was sitting in a plane from Japan to France. On a stopover in Frankfurt he saw many emails with the subject line ‘Congratulations!’, but since he didn’t read the mails he thought this was probably a prank or even spam. At the arrivals hall in France he saw many people waiting, among them obviously some journalists – he began to wonder whom they were waiting for. Next he thought: “Maybe Prof Akasaki has won the Nobel Prize in Physics and they want a statement from me.” Well, in the end he himself was the awardee, together with his mentor Isamu Akasaki and with Shuji Nakamura, as a Japanese journalist explained, together with a representative of the company he was visiting. Now the modest researcher from Nagoya was endlessly surprised. When he gave his Nobel lecture in Stockholm two months later, he still seemed somewhat flabbergasted. The Nobel Prize in Physics of the previous year recognised the detection of the Higgs boson – undoubtedly a great scientific achievement, but not of immediate practical relevance, whereas the findings of the three Japanese physicists were clearly application-driven. This 54-year-old physicist (in 2014), i.e. very young by Nobel standards, is one of the fathers of the second digital revolution. Then came more than two years of trial and error. Amano used Metalorganic Vapour Phase Epitaxy, or MOVPE, a vapour deposition method used to produce crystalline thin films for semiconductors; LEDs are basically semiconductors. But in order to grow a crystal by physical deposition, you need a fitting ‘substrate’. For the other colours, good substrates had been found, but not for GaN. Amano started using sapphire because it is stable at high temperatures, which are required for the GaN synthesis, and it doesn’t react strongly with ammonia, the nitrogen source used. But the ‘lattice mismatch’ between GaN and saphhire is 16 percent, meaning the geometric structures of both crystals didn’t fit together, so initially GaN couldn’t be deposited on sapphire. Another student in the Akasaki lab, PhD candidate Yasuo Koide, had been experimenting with Aluminium Gallium Nitride (AlGaN) at the same time as Amano had studied GaN, but Koide achieved slightly better results. So Amano tried to produce a thin layer of Aluminium Nitride (AlN), one of the components of AlGaN, before trying to synthesise GaN. But his equipment couldn’t produce the required 1200 degrees Celsius. Then he remembered that a colleague used a small amount of atoms as nucleation centers to synthesise layers at lower temperatures. 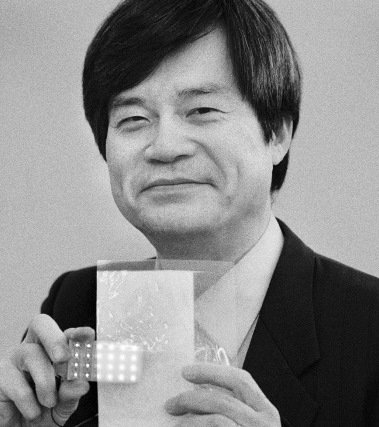 With this method, he was able to produce the first thin GaN film ever in 1985, at the age of only 24. Before this breakthrough, he had decided on pursuing a PhD. So while all other graduate students were enjoying a graduation trip, he carried out lonely experiments in the lab – that eventually won him a Nobel Prize. As mentioned before, LEDs are semiconductors: they are built with p-regions and n-regions, the former having more electrons, the latter having ‘holes’. If a current is applied, some electrons ‘jump’ into these holes while emitting photons. 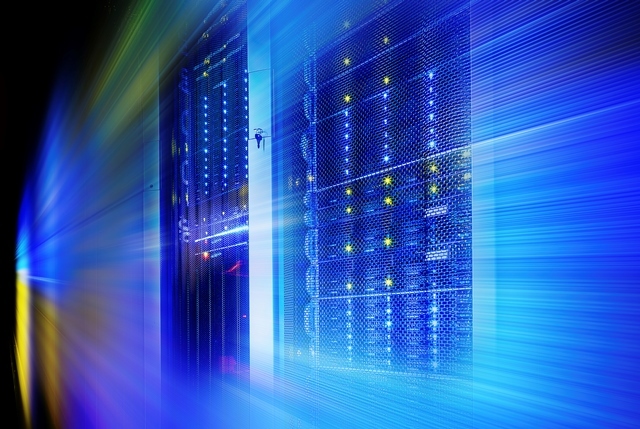 This process is called electroluminescence and it requires significantly less energy than conventional light bulbs. Unfortunately, the newly created GaN films were all n-type or highly resistive, but none were p-type. So the next step was to find a way to create p-type GaN, which turned out to be just as difficult as creating thin layers of GaN in the first place. To make a long story short: Amano had to change from zinc (Zn) to magnesium (Mg) as a ‘dopant’ to create a p-type, creating ‘Mg doped GaN’ – that still wasn’t p-type. But after treatment with a special electron beam it finally showed p-type qualities. Amano achieved his second major result in 1989, at the age of only 28. Other researchers had been working on the GaN problems for many years, but Hiroshi Amano persevered. “I would always fail in experiments, which I did at least three times a day,” he told The Japan Times after the Nobel Prize announcement. “I would go back to my apartment disappointed at night, but I would always get some new ideas in the morning.” And when he succeeded after failing more than a thousand times, “I was speechless.” On top of this endurance, Amano always remained curious about other researchers’ results and was never too proud to try their methods in his own experiments. “As a person, Prof. Amano is very modest, friendly, easygoing, open-minded and sympathetic,” says Kaddour Lekhal, a postdoc researcher at the Amano lab, and also a Young Scientist at the 66th Lindau Nobel Laureate Meeting(#LiNo16). 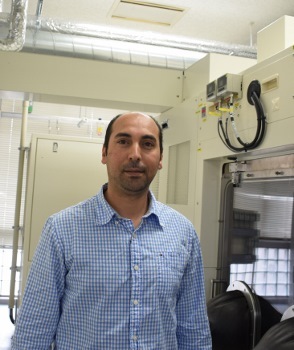 “And as a boss, he motivates, encourages and supports us to do our best every single day.” Dr. Lekhal works on the synthesis of ultra-long nanowires with the MOVPE and HVPE methods (the latter is Hydride Vapor Phase Epitaxy, a process similar to MOVPE, but hydrogene chloride is used as well). Lekhal expects nanostructures like these to play an important role in the fabrication of the next generation of light emitting diodes, solar cells, and hydrogen generation devices. This summer, Hiroshi Amano will attend the Lindau Nobel Laureate Meetings for the very first time, and he will give the first lecture on Monday morning, 27 June, at 09:00 a.m. with the title “Lighting the Earth by LEDs”.